Rose Amelie recipes are a tribute to Queen Amelie of Portugal, one of Benamor's very first fans. 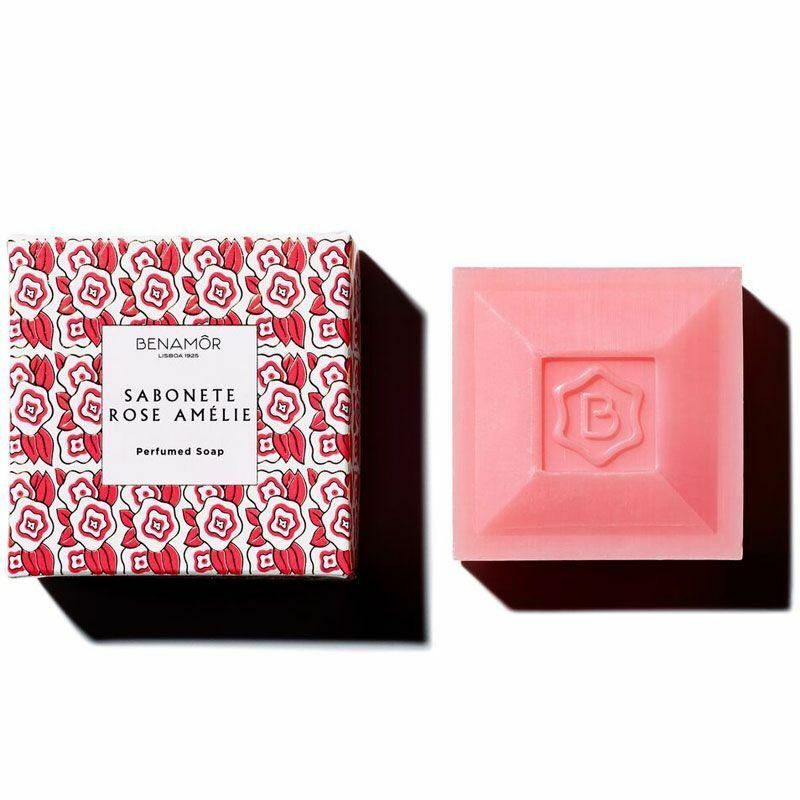 Infused with argan oil and gorgeously scented roses, these beauty rituals clean and hydrate your hands and body, leaving your skin as soft as a rose petal. Irresistible! Soft and delicately scented skin. Sodium Palmate, Sodium Palm Kernelate, Aqua (Water), Tetrasodium EDTA, Tetrasodium Etidronate, Sodium Chloride, Glycerin, PEG-50, Shea Butter, Sunflower Seed Oil, Glycereth-8 Esters, Parfum (Fragrance), Decyl Oleate, Cocos Nucifera (Coconut) Oil, Cocamidopropyl Betaine, CI 77891 (Titanium Dioxide), CI 19140 (FDC Yellow 5), CI 19240, Citronellol, Geraniol, Hexyl Cinnamal.